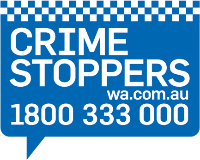 There are a number of products available for the public to obtain access to information held by the WA Police Force. Click on the below headings to access the relevant information and forms. Are you a victim of crime seeking police information for your claim for Criminal Injuries Compensation? The Information Report for Criminal Injuries Compensation provides you with a package of information held by police about your incident. It includes an extract from the Incident Report and a copy of the statement you provided to police. This information may assist with the completion of your Criminal Injuries Compensation application form. The package is available for any incident investigated by WA Police Force in which you suffered an injury (bodily harm, mental and nervous shock, or pregnancy). Police investigations and court proceedings must be finalised before information will be released. Multiple incidents may be requested for a single application fee. A printable version of the above form can be downloaded below. Individual • Individual nominated on the incident report as the victim 1. Completed application form. 2. A copy of photo identification (driver’s licence, passport). Authorised representative • Solicitor 1. Completed application form or written application on company letterhead. 2. Letter of consent signed by involved party authorising the release of information. 1. Completed application form or written application. 2. Documentary proof of representation (e.g. court order). 3. A copy of photo identification of representative (driver's licence, passport). View the Information Report for Criminal Injuries Compensation fees. For assistance with your application, please contact the Information Release Centre on (08) 6229 5900 or via email. A Record of Crash Incident contains information collected by police when attending a traffic crash. The report is commonly sought by an individual or their insurer to assist with the recovery of loss. A Record of Crash Incident is only available for crashes that are investigated by police. Result of investigation, including offender’s names and offence(s) committed. Note: Details of juvenile offenders and spent convictions cannot be released. The report will not explicitly state who was at fault for the crash. In most situations this is determined by intermediaries, such as insurance assessors or civil claims magistrates. A copy of photo identification (driver’s licence, passport). Completed application form or written application on company letterhead. Letter of consent signed by involved party authorising the release of information. N.B. Authorised representatives acting on behalf of an insurance company, who in turn is representing an individual, must provide signed authority from the individual. Completed application form or written application. Documentary proof of representation (e.g. court order). A copy of photo identification of representative (driver’s licence, passport). A Record of Crime Incident contains information collected by police about a criminal incident relating to a property or injury offence. Individual or organisation nominated on the incident report as the victim. A copy of photo identification of representative (driver's licence, passport). Additional information, including edited copies of investigation files may be available through Freedom of Information. The CheckMyCrime service allows members of the public who were the victim of a property related incident to view the status of their investigation and to print a report, at no cost, which details the items recorded as stolen, damaged or lost. For individuals located in Western Australia, the quickest way to apply is to attend a police station. Applications will be processed over the counter. Please note applications from representatives will not be accepted at a police station. Applications will only be accepted by individuals or their authorised representatives and must meet the following requirements to be processed. Fees for a Record of Traffic Infringement Notices can be found here. A History for Court document can be obtained by completing the below application for documents outside of the Freedom of Information Act 1992 form. A History for Court document is a complete, certified copy of an individual’s WA criminal and traffic convictions, including non-disclosable outcomes such as juvenile and spent convictions. This document is released strictly for court purposes only and cannot be used for any other reason. For employment and licensing purposes, an application must be made for a National Police Certificate. Applications will only be accepted from individuals or their authorised representatives and must meet the following requirements to be processed. A replacement copy of a Personal Statement can be obtained by completing the below Application for Documents Outside of the Freedom of Information Act 1992 form. A replacement copy of a Personal Statement provides an individual with a copy of their statement they made to the WA Police Force as a victim of an offence, or as a party to a traffic crash. Edited copies of third party statements may be available through Freedom of Information. Replacement copies of personal statements are provided free of charge. A replacement copy of Statement of Material Facts can be obtained by completing the below application for documents outside of the Freedom of Information Act 1992 form. A replacement copy of Statement of Material Facts is a copy of the prosecution document served upon an accused when charged with a criminal offence. This document describes the circumstances of the offence that has resulted in charges by police but does not contain the outcome of any subsequent court hearing. Applications for Statement of Material Facts documents relating to charges prior to 2001 must be made through Freedom of Information. Note: If you were not served with the Statement of Material Facts when charged, or the charges have not been finalised in court, contact the police station responsible for the investigation. View the applicable replacement copy of Statement of Material Facts fees. If an application to have a conviction declared spent is successful, it limits the disclosure of that conviction. For example, a conviction which has been spent is not listed on a National Police Certificate. The WA National Police Certificate also includes an application to spend eligible convictions. If you are applying for a National Police Certificate there is no need to complete this form separately. If you haven’t received a response regarding your spent convictions application you can email us. For more information, see our Spent Convictions FAQ’s page. Police Information Certificate (PIC) is only issued in relation to Violence Restraining Orders (VRO) or Family Violence Restraining Orders (FVRO), reaching the Final Order Hearing before a court in Western Australia (WA). PIC's are not produced for hearings outside WA, or contain information about matters and incidents outside WA. For assistance with such matters, please refer to National Domestic Violence Order Scheme. A PIC application will only be accepted from individuals or their authorised representatives and must meet the following requirements to be processed. Other Authorised parties • Police Officer 1. Court Reference Number. To submit your request, please email IRC@police.wa.gov.au with the title: Application for Police Information Certificate. For assistance with your application, please contact the Information Release Centre on (08) 6229 5900. Police Information Certificates are provided free of charge. Use this form when a Western Australia Statutory Declaration is required. Need some more information? Find the answer you're looking for in our Spent Convictions frequently asked questions.